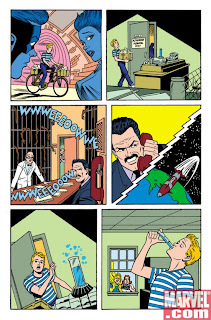 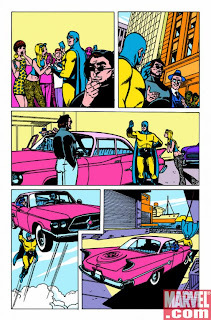 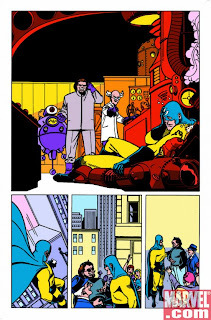 Editor Mark Paniccia told Marvel.com, "Jeff and Paul have an amazing respect and understanding of the magic of the Silver Age, and the approach of entertaining and inspiring readers by pushing the limits of the imagination... And Nick Dragotta's got the [Silver Age] style down pat!" 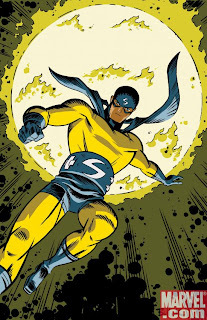 What will happen if the Sentry's alter-ego is exposed? 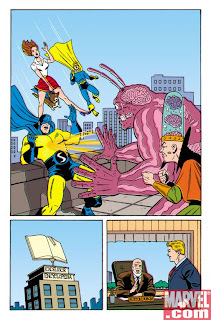 Will the Tinkerer and Mad Thinker's evil scheme destroy the Golden Guardian? 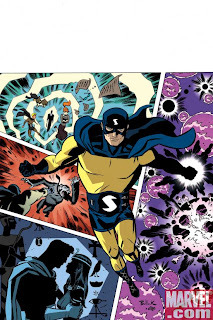 Read on, True Believers, and don't miss these breathtaking new tales in The Age of the Sentry #1 (of 6)!